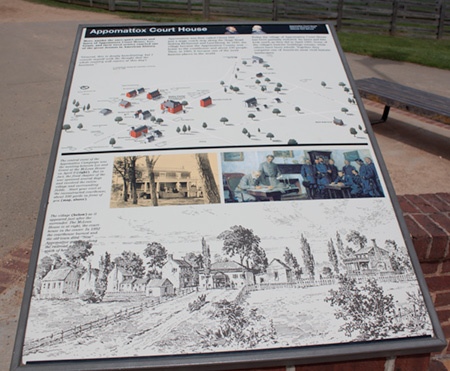 After a morning of paddling on Holliday Lake, we made the short drive to Appomattox Court House, the village where General Robert E. Lee surrendered to General Ulysses S. Grant in April 1865. Although there were still large organized Confederate armies through out the south, Lee's surrender,for all practical purposes, ended the United States' Civil War. 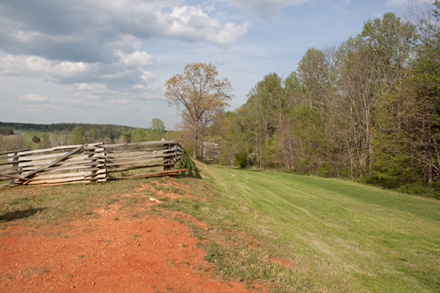 There was a short battle at Appomattox Court House. This was a small, by Civil War standards, battle with 700 casualties. 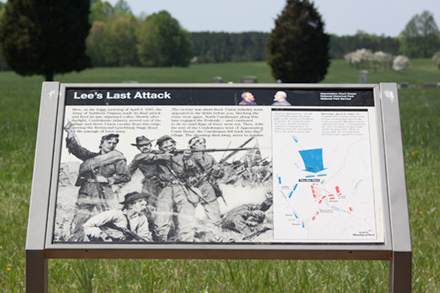 The battle was a Union victory and sealed the fate of Lee's Army of Northern Virginia. The Army was out of food and supplies and had no way to escape from Grant's Union Army. 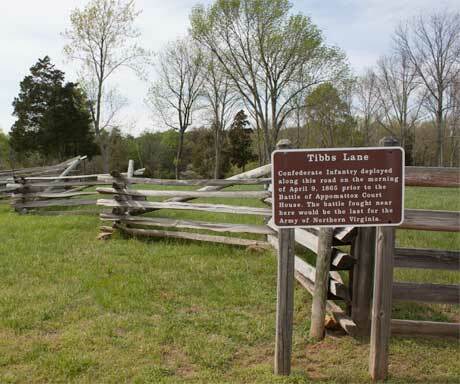 Therefore, Lee requested a meeting with Grant to arrange the surrender of the Army of Northern Virginia. This meeting took place in the home of Mr. McLean. 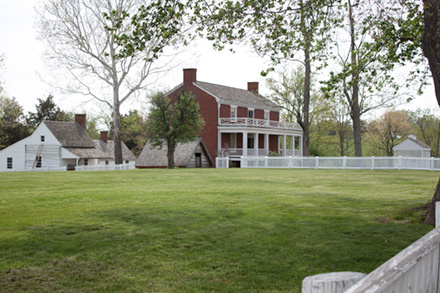 As an aside, McLean's farm was part of the battlefield at First Bull Run so he was at the start and end of the war. 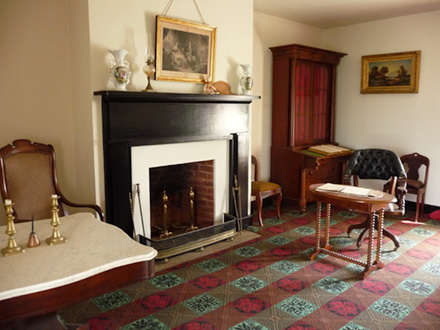 The village of Appomattox Court House is now a National Park site with several buildings, including the McLean House and the Court House, restored and furnished. The important spots are marked with signs. Unlike other Civil War sites, there are no big monuments to honor those who fought here. No statues of generals on horseback. No row after row of graves. Just the buildings, the open area, and the signs. There are two cannons-- one marking Lee's headquarters and one marking the site where the last artillery shot was fired. Nothing like the rows of cannon that mark other Civil War sites we've visited. 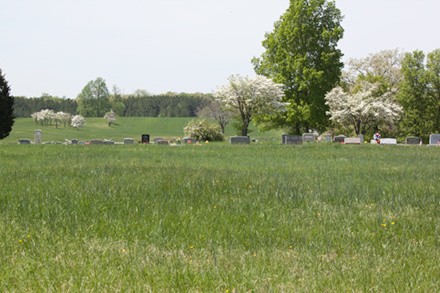 There is one small Confederate cemetery with the bodies 19 Confederate soldiers. There is one small monument in the woods away from the village. This monument was erected by North Carolina to honor the men who participated in the last battle fought by the Army of Northern Virginia. There is a large monument to mark the Raine Family Cemetery and Captain Charles Raine who was killed Killed in the Battle of Mine Run Va. on November 30th, 1863. There isn't a monument marking the site were the Confederate soldiers stacked there arms. Just a sign showing the road that they marched up and that was lined with Union troops. It seem appropriate that the place where the Civil War effectively ended is a quiet country village. There is little here in the National Park restoration of the village to show what ended here. 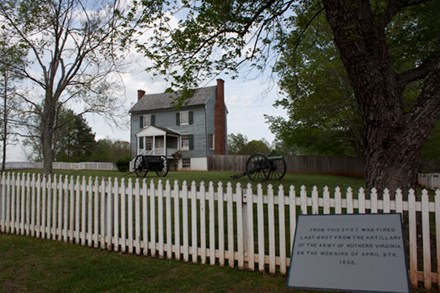 Although the Army of Northern Virginia surrendered at Appomattox Court House, there was still a large Confederate Army in North Carolina and other southern states. This army, commanded by General Joseph E. Johnston, was over three times larger than the army that surrendered at Appomattox Court House. Jefferson Davis, president of the Confederate States was still at large and wanted to continue the war. So even after Lee's surrender, the war still could have continued. Union General William S. Sherman was pursuing Johnston in North Carolina. When news of Lee's surrender reached Johnston and Davis on April 11, they agreed that Johnston could confer with Sherman to arrange surrender of the remaining Confederate Army. Although Davis wanted to continue the war, Johnston and Sherman reached agreement on the surrender of the Confederate Army. 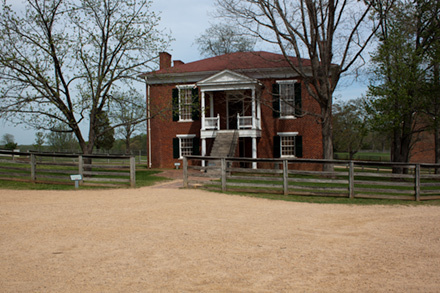 The surrender took place at Bennett Place near Durham North Carolina. Almost 90,000 soldiers in North Carolina and other southern states were covered by the terms agreed to at Bennett Place. The last Confederate unit to surrender was led by E. Kirby Smith. It surrendered at New Orleans on May 26, 1865. Travels with Nessie Home :: Site Map:: Contact webmaster@ncsparks.com-email us:: Copyright Leslie Sparks 2006, 2007, 2008, 2009, 2010, 2011, 2012,2013,2019:: Last modified: October 16 2017.